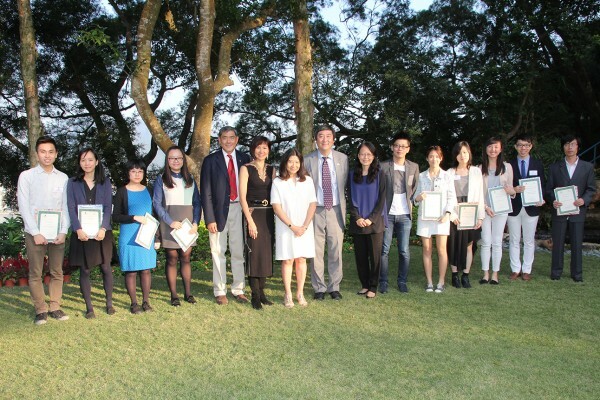 Since its founding in 1981, the Friends has contributed to the education of Fine Arts students at CUHK. This dimension of the organisation’s work makes it unique among other associations of museum friends in Hong Kong and overseas. The Postgraduate Research Travel Grant, inaugurated in 1982, enables postgraduate students in Chinese art history and fine arts to conduct field research in museums and monuments in China and abroad on a topic related to their thesis. It provides essential training in original and independent scholarship, while helping students to establish personal contacts with leading scholars and institutions in the field. Many have made careers as art historians and museum professionals. Another gift from the friends, started in 1984, benefits, undergraduate students in both creative art and art history. The Friends Prize provides encouragement to outstanding Fine Arts undergraduates who have attained creative and academic excellence. Inaugurated in 1987, it enables Fine Arts students to familiarize themselves with the structure and workings of a museum. Interns assist the staff of the Art Museum, gaining first hand experience in research, cataloguing, publications, mounting of exhibitions, conservation, publicity and educational projects. In many cases, the internship represents the students’ first direct involvement with museum work. Over the years, many interns have made a career serving museums and art galleries in Hong Kong and overseas. The Student Art Show is presented in conjunction with the Friends Annual Garden party. The Friends attending the Annual Garden Paty are able to appreciate the aesthetic expressions of young Hong Kong artists, and also to acquire their work. Such visible signs of support give the budding artist a taste of success as a professional. The Art Journalism Scholarship enables a student to participate in a course specializing on the publishing aspects of art journalism, including conducting effective art research.